Now before you go jumping to conclusions, no I’m not leaving Swiftyvillerton. Jenn and I are reasonably happy here and don’t plan on leaving anytime soon. 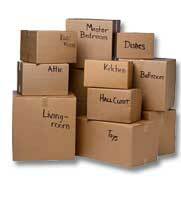 The moving I’m talking about is moving blog homes. You can find the link to my old blog, Humble Musings of a Curious Man, in the list of blogs called “blogroll”. It’s kind of a weird feeling moving my online address. It would seem that it shouldn’t be as big a deal as moving a real address, but I think this virtual move actually has me more anxious than my physical move from Regina to Swift Current last year. In my real move I had to pack and move stuff in boxes to a new house 250km away. How do you move something that doesn’t really physically exist though? I can’t literally move my thoughts, my lists, and my pictures of from website to another. I have to leave it behind. It may be silly, but it is slightly traumatic to have to leave behind the thoughts and records of the past year of my life. Physical stuff you can move, the abstract you can’t. Technically I don’t have to fully leave it behind, it will still exist in perpetuity in it’s current place, but it won’t be where I call home now. The links on my new page will take you to my book lists, music lists, and picture lists from my old site. It’s just a lot easier to update those lists from where they are and quite frankly, it’s a little nicer looking to make the lists there because I don’t know how to code HTML. It’s kind of a sad “see you later”, and not a total good-bye, but none the less I can’t help but feel a little emotional regarding my move to a new home. Well, I hope you all feel welcome to come and visit me in my new home on a regular basis. The 3403 page views over the past year at my last home says that someone was visiting and reading on a regular basis, so I hope you enjoy my new residence here just as much. I made the move for you! That’s right, I didn’t move just because I wanted to move for the sake of it, I moved to the new site so that you could let me know that you were there to visit. This new blog will allow you to leave comments on my posts without having to sign-up for anything or give all your personal information to Bill Co. (Microsoft). I hope you will make use of this new feature and leave comments on my posts, otherwise this whole traumatic move will be for not. Anyways, I’m glad I made the move. I think this will be a good place to settle down for a long time. Rest assured, I have no desire to go through this whole ordeal again anytime soon. Have a good one, and come back to visit soon.